Myrtleford and District Agricultural Pastoral Show. Enjoy a fun, family day out at the Myrtleford and District Agricultural Pastoral Show. Events include wood chopping, cattle and horse events, arts and craft, photography exhibition and competition, horticulture, rides, entertainment, show bags, animal nursery and much more. Take the kids, or go with a friend. 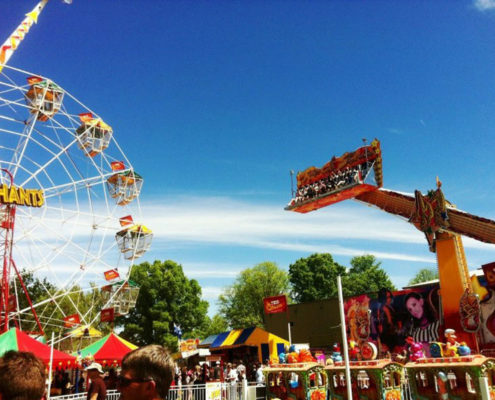 Enjoy the annual Myrtleford Show held in the Myrtleford Showgrounds. The Myrtleford spring show was established in 1947 bringing local farmers, businesses and townsfolk together to celebrate the rich and diverse produce and the amazing culture of the surrounding districts. The Show has gone from strength to strength over the last 68 years, this year has the potential to be just as vibrant and exciting for the whole family.